Just like succulents I think the Cactus plant can look stunning used as a feature in any room! 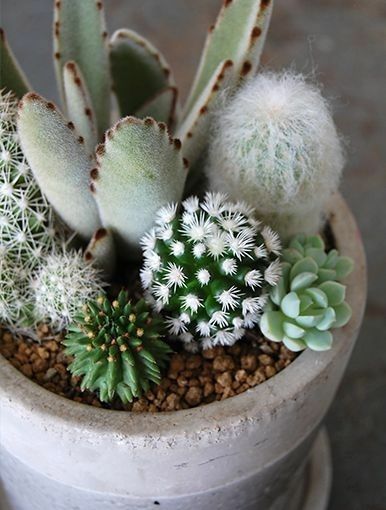 Another benefit and a major one at that if you are afraid of buying and nurturing plants, is the fact they are very hard to kill! 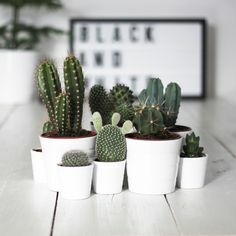 Apparently they can absorb and store huge amounts of water making them extremely hardy! 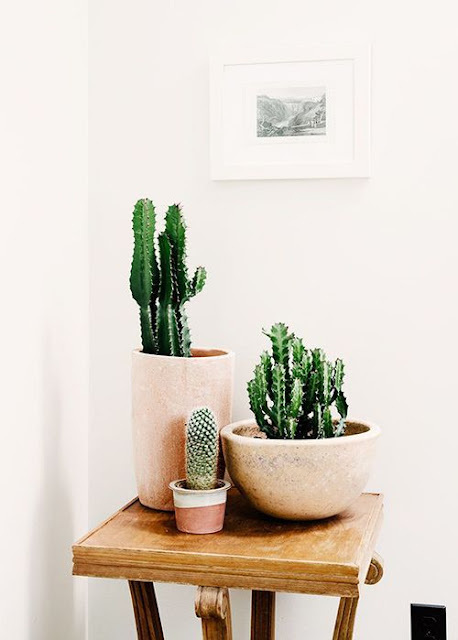 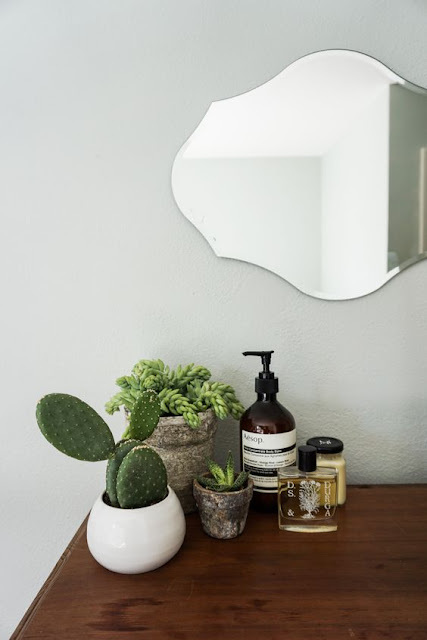 Here are a few lovely ideas I came across for using Cacti as part of your interior style…. 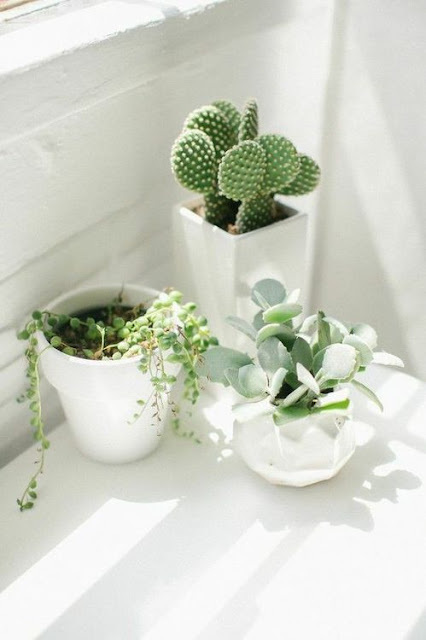 Grouped together on a small corner table they can add a welcome pop of green against a plain background…. 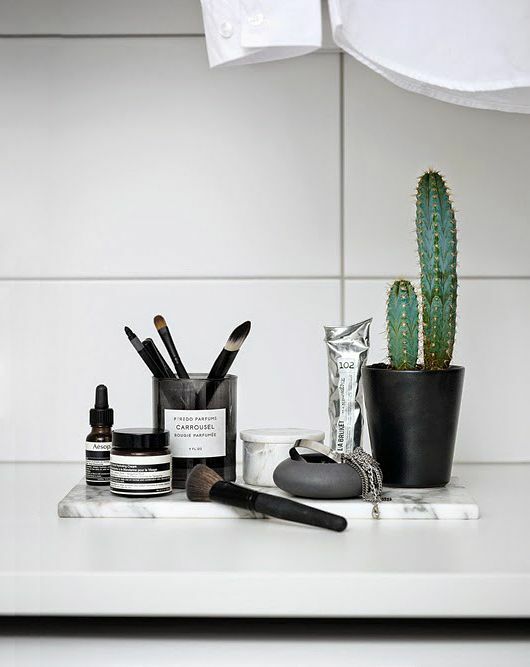 Black and white scandi style is having a major moment and a potted Cactus plant just finishes this monochrome look off so well ….